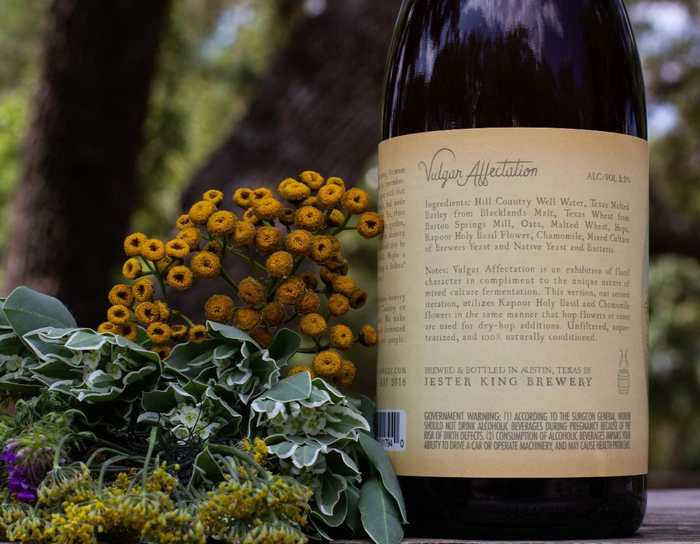 Tomorrow at 4pm when our tasting room opens, we will be releasing our second batch of Vulgar Affectation. 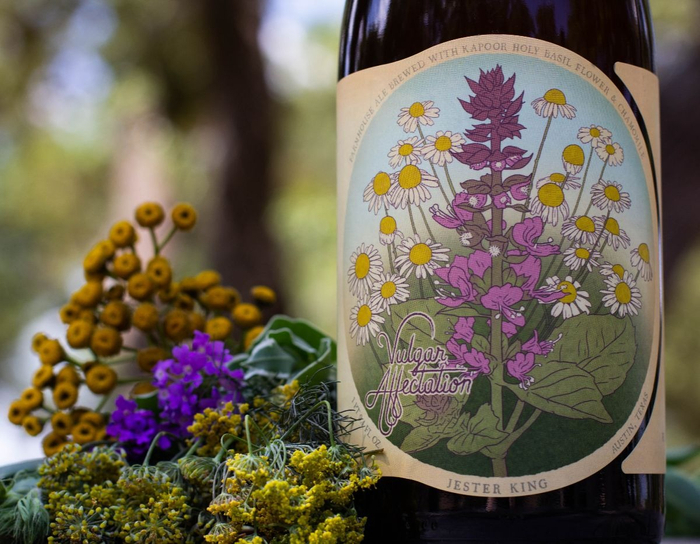 Vulgar Affectation is a farmhouse ale with Kapoor Holy Basil Flower and Chamomile. This beer is the exhibition of floral character in compliment to the unique nature of our mixed culture fermentation. 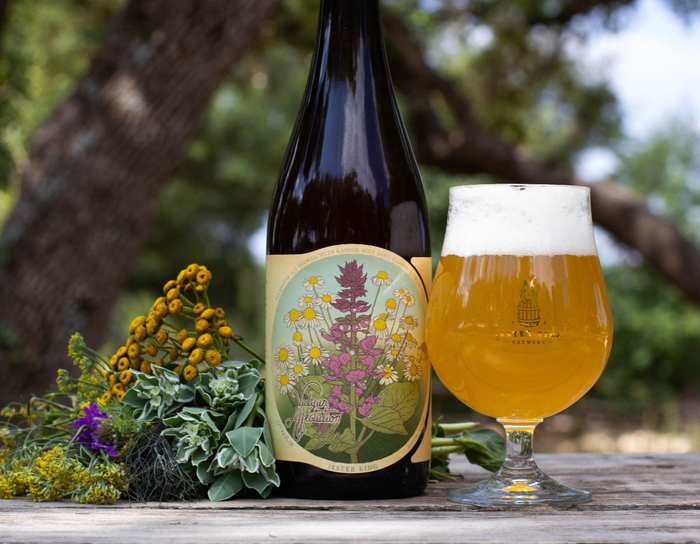 This beer was brewed with Texas Hill Country well water, malted barley from Blacklands Malt and Texas wheat from Barton Springs Mill. It was then fermented with our mixed culture of native yeasts and native bacteria. 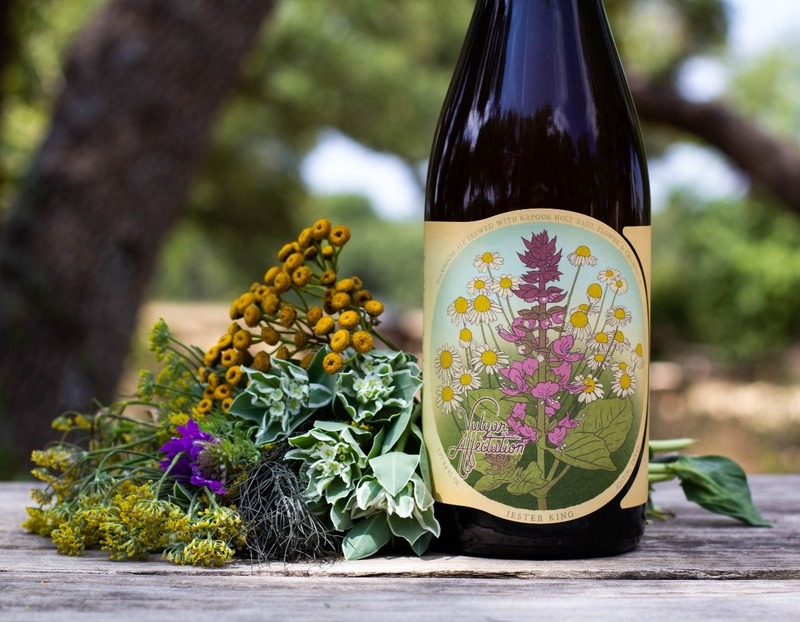 The flowers were added post-fermentation in the same manner that hop flowers or cones are used for dry-hop additions, to preserve some of the more delicate aromatic notes that may otherwise have been blown of during the brewing process or fermentation. Vulgar Affectation Batch 2 has an ABV of 2.9%. 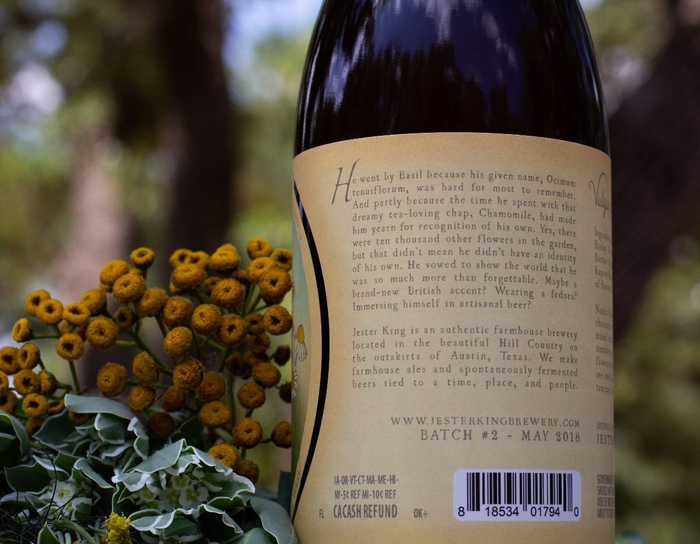 It will be available by the glass and in bottles to go (750mL/$13). There are around 2,700 bottles available with no bottle limit. We anticipate some distribution of this beer.